When only the utmost in sophistication and security will do, this design combines a tempered, acid etched back glass with intricately detailed ironwork. The result is a stunning decorative glass that is both beautiful and secure. If you want a colourful and festive look for your home, look no further than this magnificent design. It combines four distinct coloured glass patterns with beveled and textured glass to achieve a truly artistic effect. A rich heritage can be found in this traditional stained glass profile. A distinctive look is created by surrounding a clear beveled central cluster with coloured and textured glass. 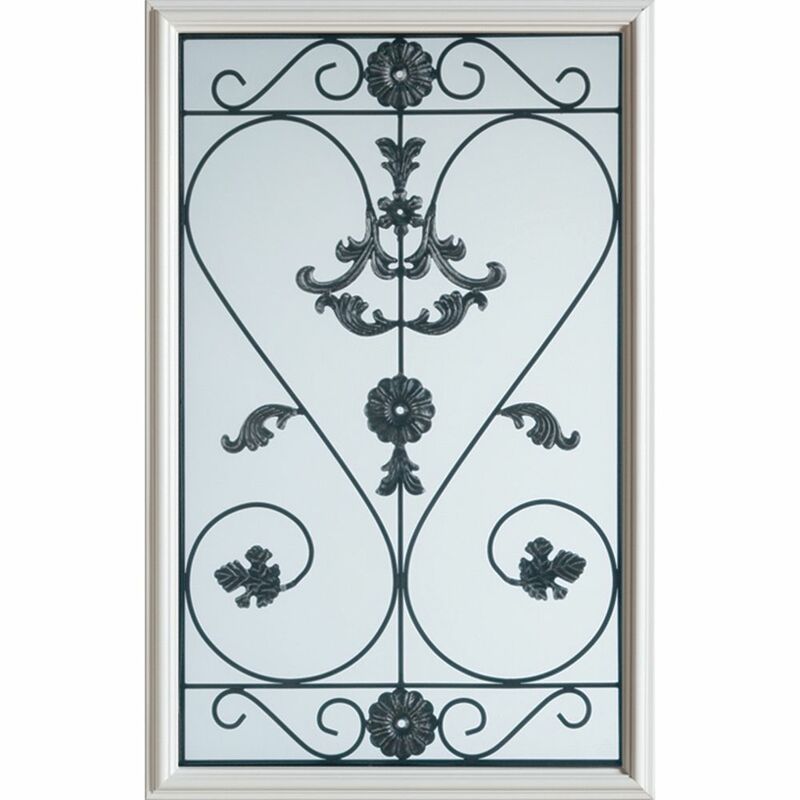 23 inch x 37 inch Blacksmith 1/2 Lite Decorative Glass Insert When only the utmost in sophistication and security will do, this design combines a tempered, acid etched back glass with intricately detailed ironwork. The result is a stunning decorative glass that is both beautiful and secure.